The console has recorded a great launch. Nintendo Switch went on sale last Friday and a week after its launch and it is possible to say without a doubt that the new Nintendo console has been a commercial success. The machine has not only been placed as the best seller of the week in the field of hardware, but in many territories has become the best launch of a console in the history of the Japanese company. In Spain, as we told you this week, Nintendo Switch has managed to sell about 44,673 units, a figure that positions it not only as a resounding success for Nintendo, but as the console with the best launch in the history of the country snatching the PS4 For 8,000 units of difference. The Legend of Zelda: Breath of the Wild, game star of the machine in its premiere, has been the most purchased title with 39,566 units, 51,382 copies if we add those sold on Wii U. In France, sales of Nintendo Switch have been even greater. The console of Nintendo has placed 105,000 units becoming the most successful premiere of a video game machine in the country. The Legend of Zelda: Breath of the Wild has sold 96,000 games in its version for the console, the combined sales on Wii U reach 130,000 games. This sales figure puts it ahead of Wii Sports, title of launch of the first Wii that came included of series in the console. The British have also overturned the new Nintendo console, where they bought about 80,000 machines in their early days of commercial life, doubling the number achieved by Wii U, but falling below PlayStation 4, and with 78 percent Of the copies sold of The Legend of Zelda: Breath of the Wild destined to the new console. 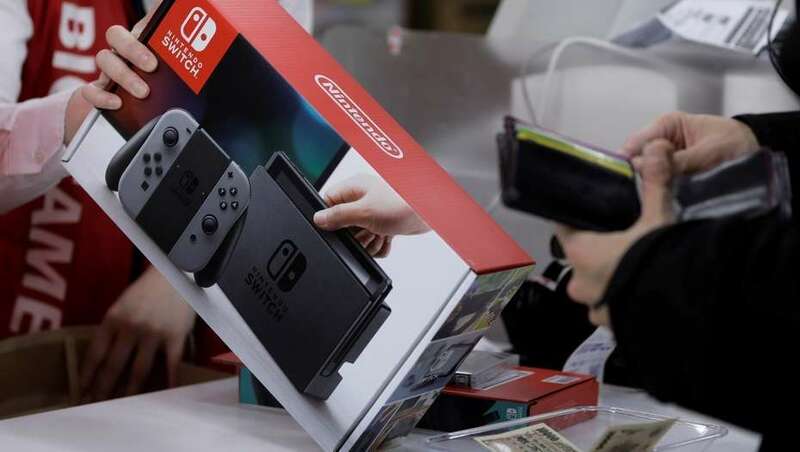 US players have received with open arms Nintendo Switch, which according to the local division of the company has managed to sell more than the first Wii. Without entering into specific sales data, Reggie Fils-Aime from Nintendo America has also confirmed that The Legend of Zelda: Breath of the Wild is already the premiere of a more powerful game in the history of the company.